How much do you love Sneaker Freaker? What about Stance? No matter the advancement of phones and modern gadgets, some things are never going to change. The same thing goes for watches, and even though more and more are coming now with essential hi-tech functions, one thing is sure. Using watches for telling time is never going to go away. From the simple models to the high-end watches that take the use for several generations, watches are one good reason to spoil yourself. Becoming a watch collector has never been easier as the models that stand out without emptying your pockets are so many and various. 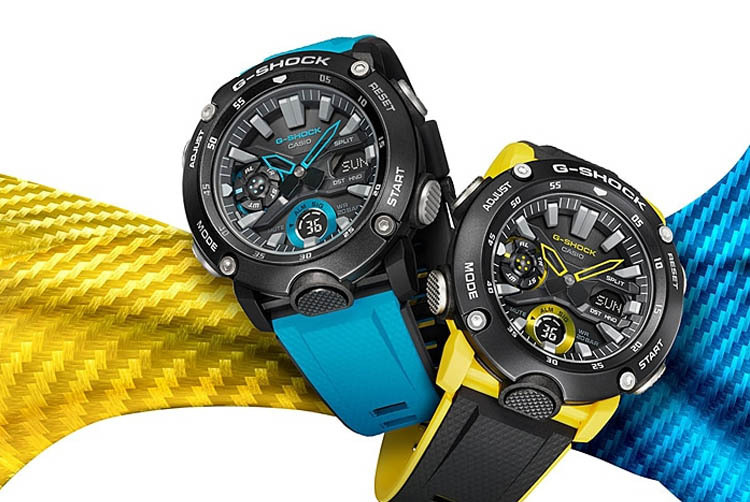 What makes G-Shock watches so particular? Creating a watch that would take a fall may have been a common idea among people within the watch industries. 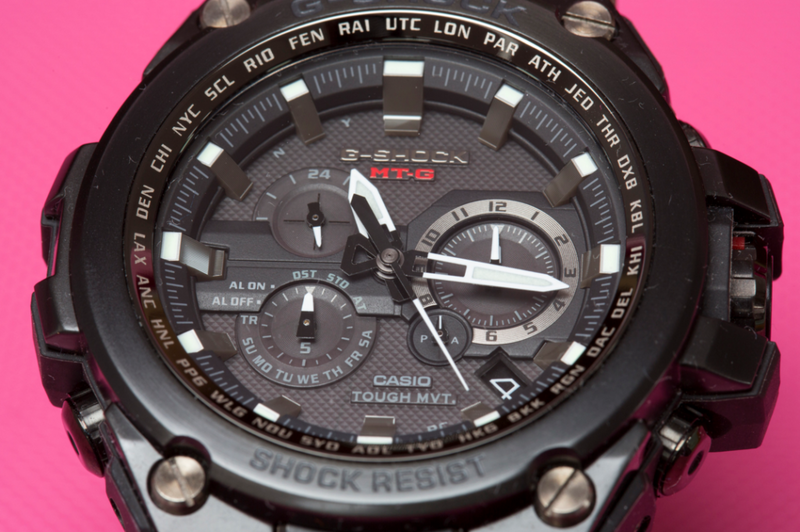 However, the first one to ever generate a shock-resistant watch was a Casio engineer. 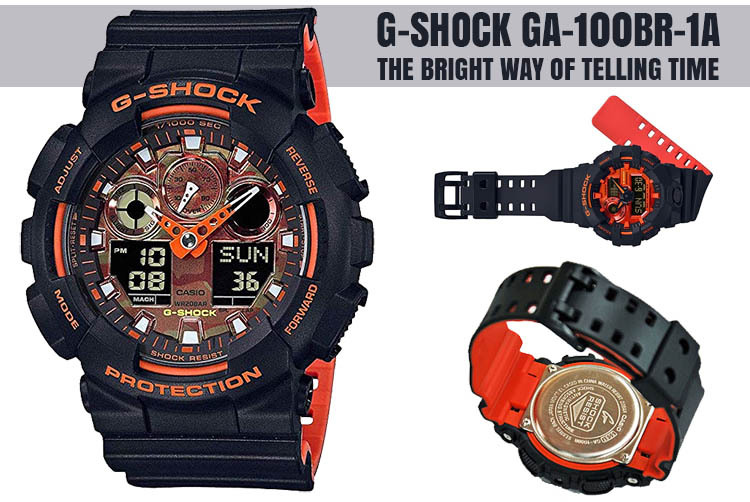 It was Mr. Ibe that designed the very first model of G-Shock watches. 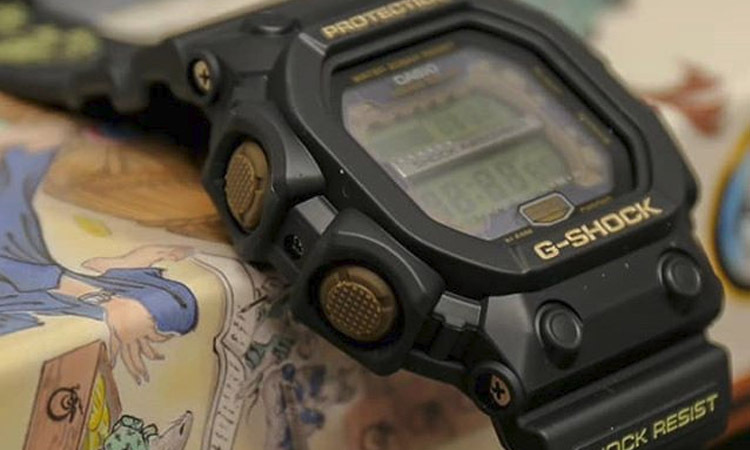 He sacrificed no less than a couple of hundreds of handmade samples to get it right, but the creation of the first G-shock watch indeed became a reference point in watch’s history. 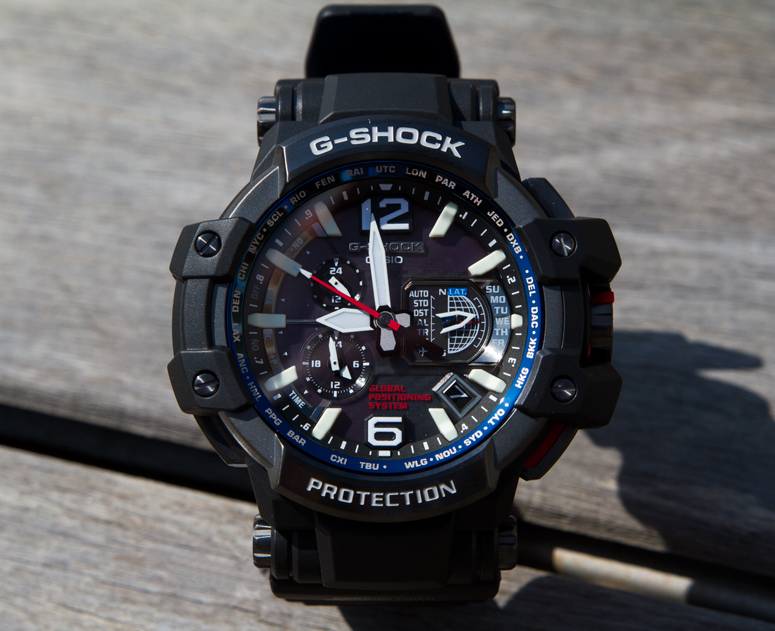 Along with the water resistance and the shock resistance, the G-Shock watches stand out with their toughness, resistance to low-temperature, vibration, electric shock, and gravity resistance. These abilities are the result of many innovative technologies and the vital principle of the build. 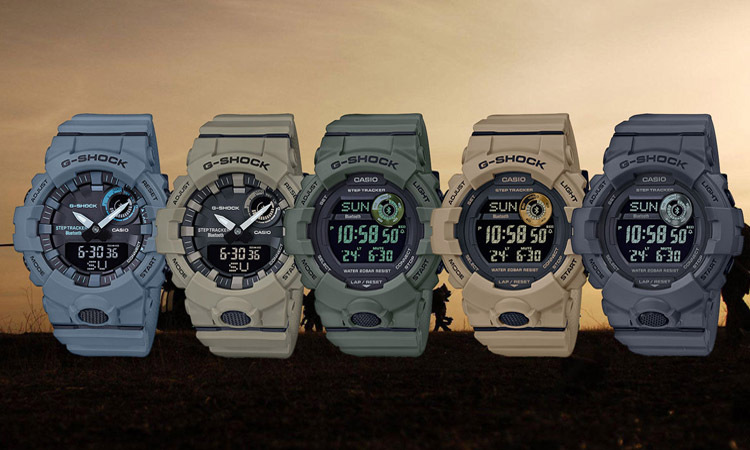 For instance, all G-Shock watches come with urethane that protects the inner elements, while the timekeeping modules inside the structure are floating for better resistance to impact or other challenging conditions. 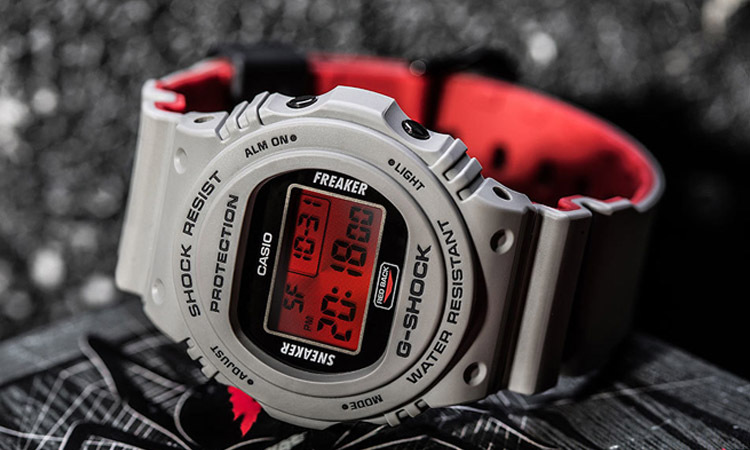 Why pay attention to the Sneaker Freaker x G-Shock DW-5700SF-1? The first collaboration between Casio and the footwear fashion magazine Sneaker Freaker took place in 2015. 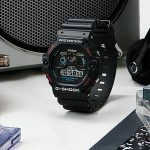 G-Shock has been known for its constant contribution to modern street culture, and the partnership with the Australian-based Sneaker Freaker magazine and Stance (the brand of innovative socks of the United States) didn’t surprise anyone. 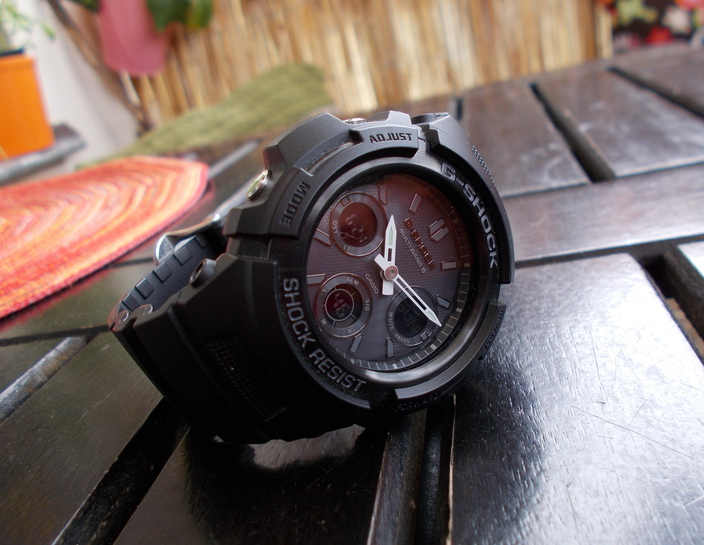 The base model is similar to the old DW-5700, but it has a fresher vibe. The highly venomous Australian spider inspired this watch that impresses with its matte gray bezel and band with Sneaker Freaker branding on the face and case back. The logo also appears on the outer brands. The watch includes metallic details, an ion-plated case back, and buckle with a black resin strap keeper. 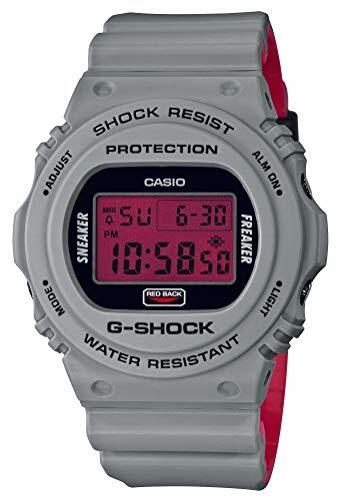 The LCD has a one-of-a-kind blood red “vampire” background color which hasn’t been used from the 20th G-Shock Anniversary back in 2003. The watch is loaded with “spooky” features, reviving the 2003 model. The red strap (similar to the spider’s original livery), the two-tone grey and the cobweb around the clap complete the frightening appearance. As it was Halloween-related, anyone buying the watch right from Sneaker Freaker would have got a custom “coffin” packaging. The customer would also get a limited edition Redback pin and matching Ventron socks by Stance. 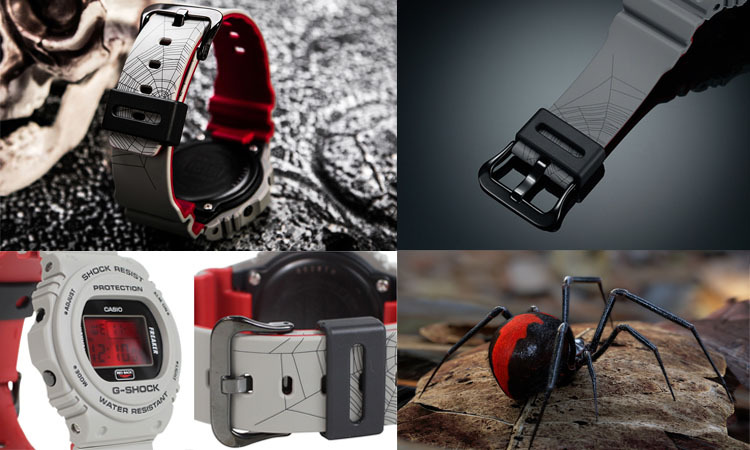 The Redback watch was a November 2018 release and has been released in Europe as well. 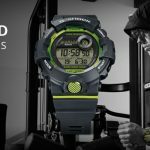 Why G-Shock and Sneaker Freaker? Where’s the connection coming from? Simon “Woody” Wood was dreaming in early 2000 about how to get free sneakers. Soon enough, he becomes the owner of Sneaker Freaker- a magazine that stood out as an independent publication. The magazine documented all crucial moments in sneaker culture. Writing and designing high-dollar books for famous brands (Puma, Nike, Reebok, and New Balance), Woody has proved that where there’s a will, there’s power. Sneaker Freaker’s collaborations are well known for their inventive and fantastic approach. With the social media following in the multi-millions and daily digital input for the sneaker lovers around the globe, Sneaker Freaker’s influence is tremendous. Can you see now that G-Shock took the chance of a collaboration? “The Uncommon Thread” is the unwritten rule for Stance, which was able to turn one boring accessory into one of the most exciting in just five years. The founders of Stance sure were ingenious when they changed this dismissed and ignored a piece of accessory and turn it into something interesting. Stance developed a movement of art and self-expression that many iconic cultural influencers, performers and athletes embraced soon enough. The Punk&Poets (the so-called group of influencers) spread the word about the most exciting piece of accessory that one could find. The technical innovation is the main reason for which Stance is now in more than 30 countries around the world. Who wouldn’t want to partner with them? What are the main features of the watch? 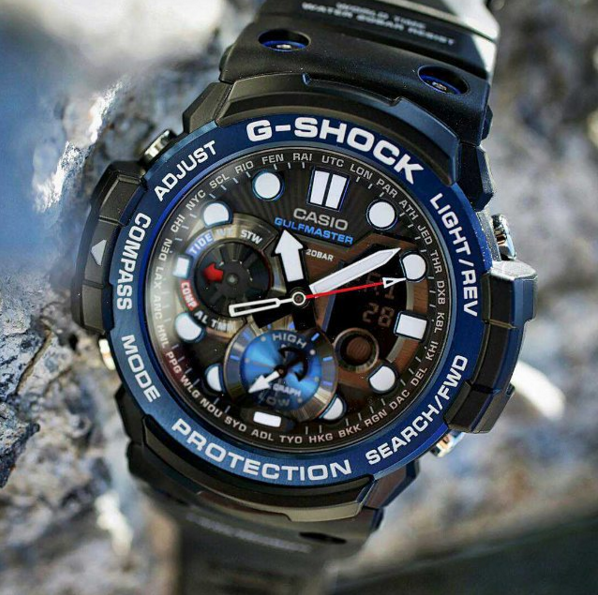 Just like any other G-Shock, this one is shock resistant and comes with 200-meters water resistance as well. It has a mineral glass and resin band. The resin is the material for the case and bezel as well. No worries about reading the time in the darkness as the watch comes with Electro-luminescent backlight and Afterglow function. The list of functions includes the standard 1/100-second stopwatch and the countdown timer. The countdown starts time setting range is from 1 second to 24 hours (with 1-second increments, 1-minute increments, and 1-hour increments). The watch also includes the auto-repeat function. The Full auto-calendar (to the year 2039) isn’t missing, and the watch has 12/24-hour format. It provides regular timekeeping: hour, minute, second, pm, month, date, and day. The EL color is orange, but that’s not going to make the reading difficult in any way. The battery life is around two years on CR2016. 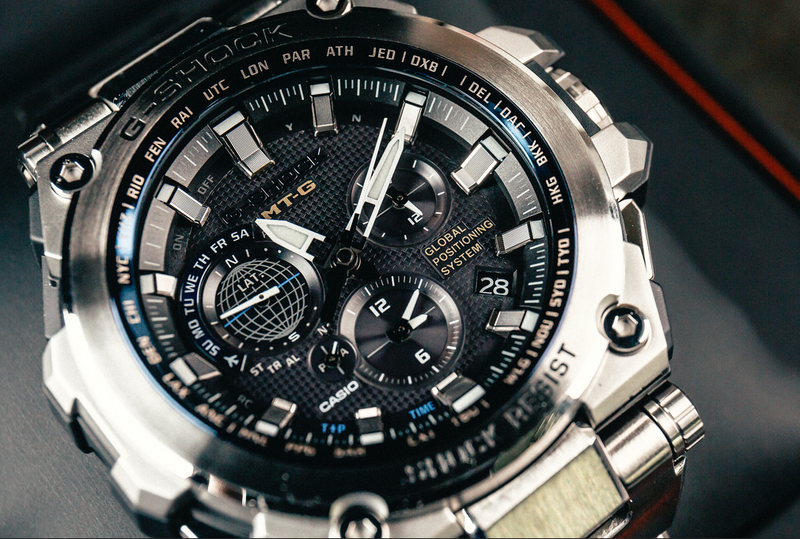 The precision is the standard one for the G-Shock watches: +/- 15 seconds per month. 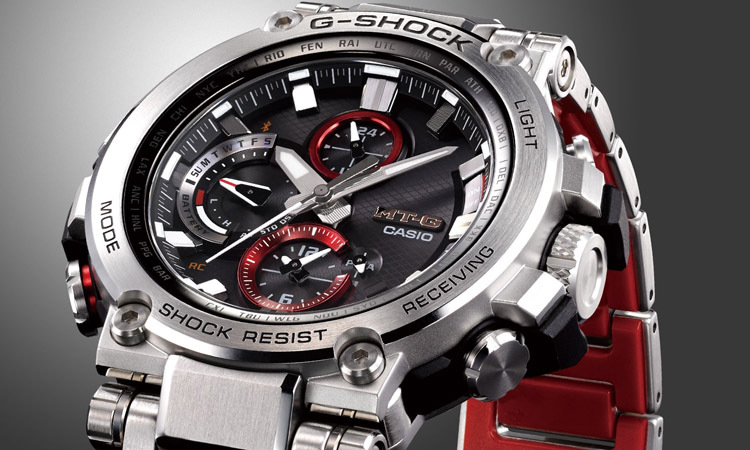 Easy to use and impressive with its design and attention to details, the watch is a keeper for many G-Shock lovers. Even if some aren’t going to find the watch astonishing within its functions, the watch compensates with an attractive appearance and reliable performance. 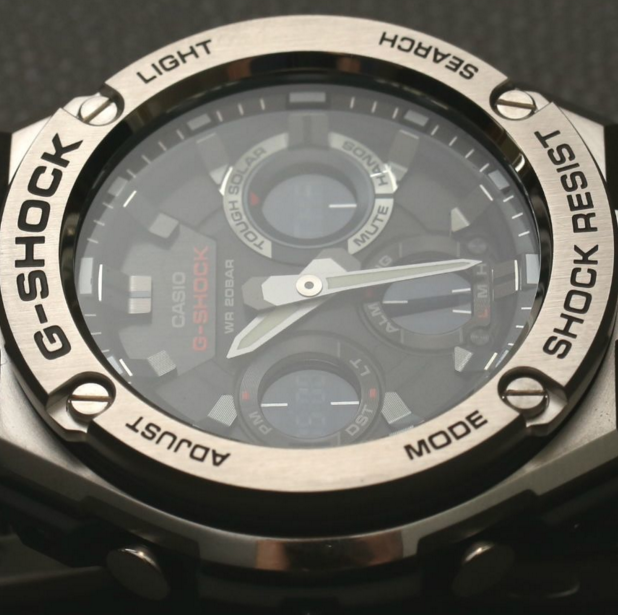 It’s a G-Shock still, so you shouldn’t worry in terms of toughness or resistance to shocks. 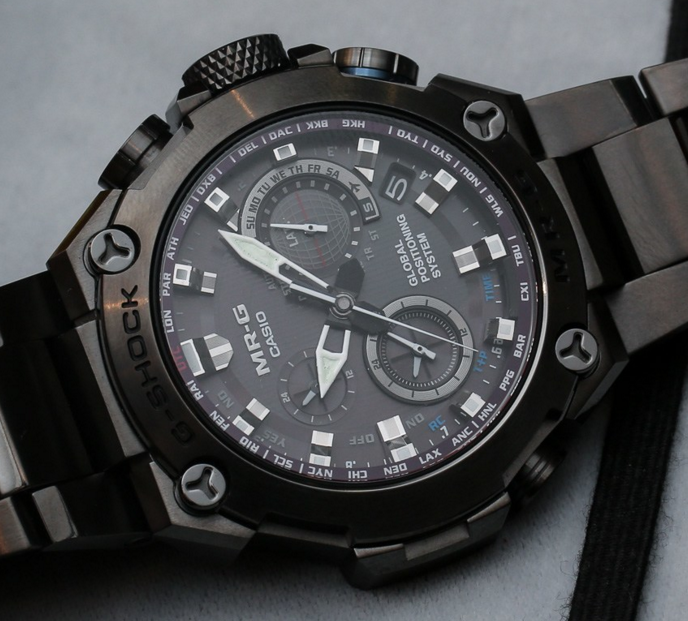 It may lack some of the newer functions (the Multi-Band 6 is one), but it’s still an affordable keeper for many G-Shock infatuated customers.